Match the right people to the right ministries---right now! Here are 200 professionally prepared simple, ready-to-use position descriptions for every church job you can imagine---from senior pastor to cookie baker. Customize your documents with the included CD-ROM. Windows 3.1 or higher, Macintosh System 6 or higher. Requires a word processing system with RTF file-reading capability. 316 perforated reproducible pages, softcover from Gospel Light. 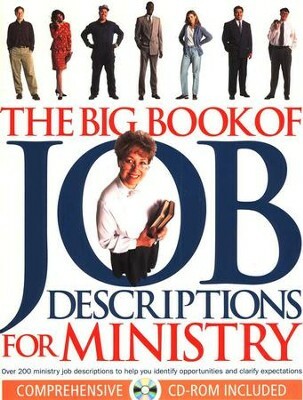 Most churches dont have written job descriptions for any or all of their churchs ministry positions! Here is your answer! The book is reproducibleyou can use each description as isor use the CD-ROM to customize each description to fit your unique needs. Job descriptions range farfrom executive pastor to pantry organizer! You may discover a new ministry your church has never have thought of! Dr. Larry Gilbert is founder and chairman of Ephesians Four Ministries, parent organization of Church Growth Institute. He is a published author, a seminar speaker, a contributing editor with Strategies for Todays Leaders magazine, and has served as visiting professor at the Billy Graham School of Missions, Evangelism and Church Growth, Liberty Baptist Theological Seminary, and Mid-America Theological Seminary. Larry and his wife, Mary Lou, reside in Maryland and have a daughter and two sons, and a grandaughter. Cindy Spear is administrator and resource development director for Church Growth Institute. She is a published author with 20 years experience in the editorial and publishing field. She previously served as coordinating editor for Fundamentalist Journal, a monthly magazine. She enjoys serving in womens ministry, where she taught for nine years and is currently a care group leader. 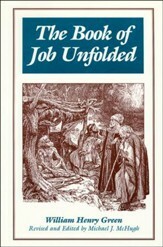 I'm the author/artist and I want to review The Big Book of Job Descriptions for Ministry.